I love confetti - and even more - green confetti that won't pollute the ground and water, but bio-degradable things to toss in a moment of joy. 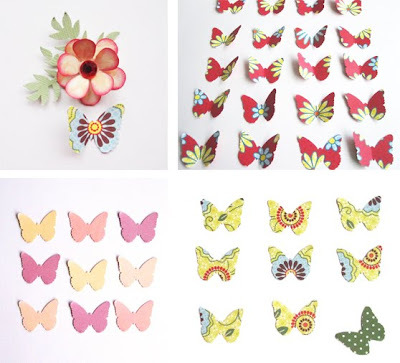 I made these with hole punchers in different shapes (like the butterflies from the Martha Stewart collection) and from lovely two-sided paper. 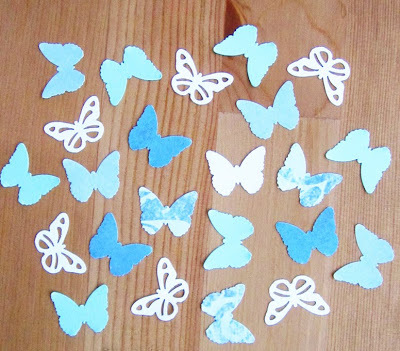 You can easily make your own confetti (like the ones that I made for my wedding), or visit my Etsy shop and see if you like something there. I love the confetti, especially the green spotty one! Oof, wish I were getting married now! i love this. great for a wedding or shower! or maybe a summertime kids party? 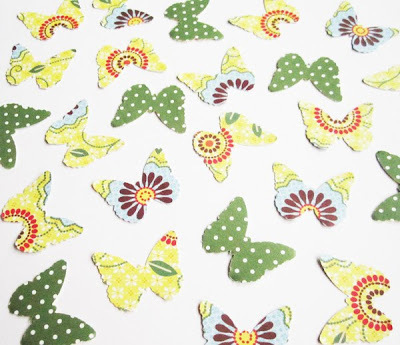 i am using the butterflies soon...keep a lookout!